Fig. 1: Last Stand Hill-A brooding subject for contemplation. 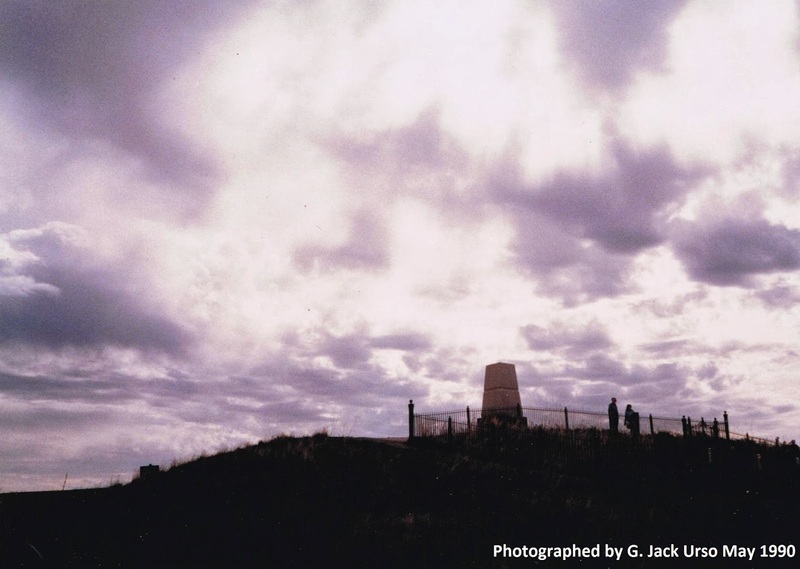 Few conflicts in military history have been so thoroughly explored and written about than the Battle of the Little Bighorn, June 25, 1876; however, there are mysteries of the battle still being explored to this day. While there has been extensive reporting of the participants of everyone from George Armstrong Custer and Sitting Bull down to the lowliest private and brave, one major participant often overlooked is the battlefield itself. 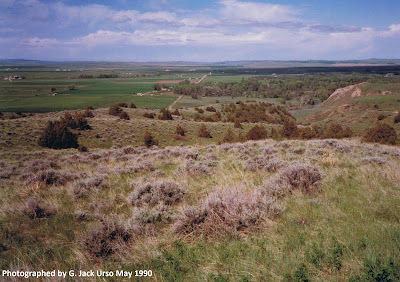 Certainly, students of the battle can rattle off various geographical points of interest such as Medicine Tail Coulee, Nye-Cartwright Ridge, and Weir Point; however, the character of the land only emerges through close study and traversing it in person. I visited the battlefield in May 1990. Growing up in the Hudson Valley of upstate New York, nestled between the Catskills and Adirondack mountains, one has a different feel for the land than in the plains. With thick forests, high peaks, low valleys, caves, streams, rivers, and lakes, for early settlers in the Northeast, danger had a thousand places to hide. On the plains though, there is no place hide — you are exposed like a raw nerve. The land is flat with low, rolling hills that allow you to see for miles. I recall watching a thunderstorm from a hotel in Hardin, Montana, about a 15-minute drive from the battlefield, as it slowly approached from about 10 miles away; a vision I could never see in the Northeast where you usually don’t see the weather coming until it hits you in the face. The plains provide a nearly 360-degree view of the sky and at night the visible star-field is so overwhelming it makes you feel insignificant. Gazing upwards, on a clear night it seems as though you can see every star in the universe. Fig. 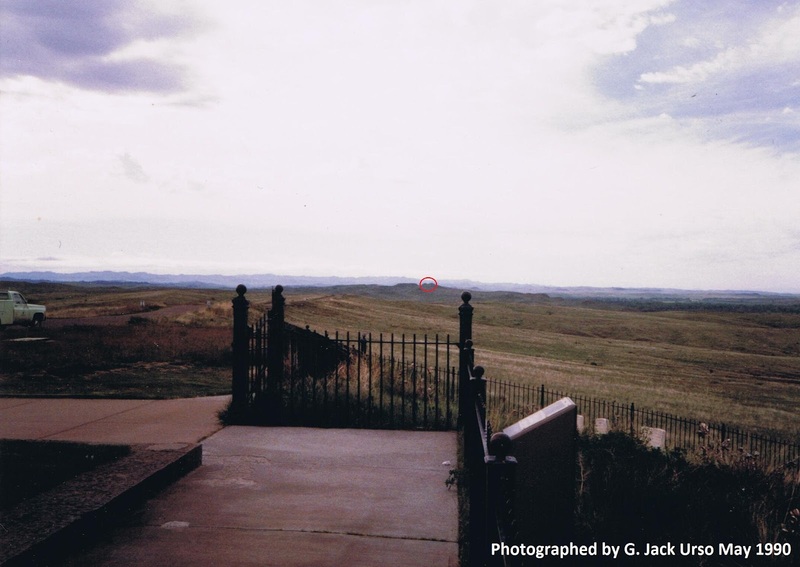 3: The marker with the black shield is where Custer fell. Fig. 4: Looking down towards the woods where Major Reno retreated after his initial attack. ﻿The photo above (fig. 4) is taken from a point close to Reno Hill, where Major Reno and his detachment entrenched themselves after their retreat from the river. 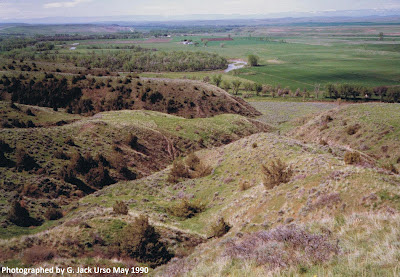 Over 30 soldiers were cut down as they rode or ran to the top of the ridge, chased by braves whose wives, children, and companions, had been killed in Major Reno’s initial attack. In the photo, you’ll notice how deep the background extends. The Bighorn Mountains in the distance are over 50 miles away. I don’t believe anyone can truly appreciate what the Sioux and Cheyenne were fighting for, and lost, unless you walk this land. Fig. 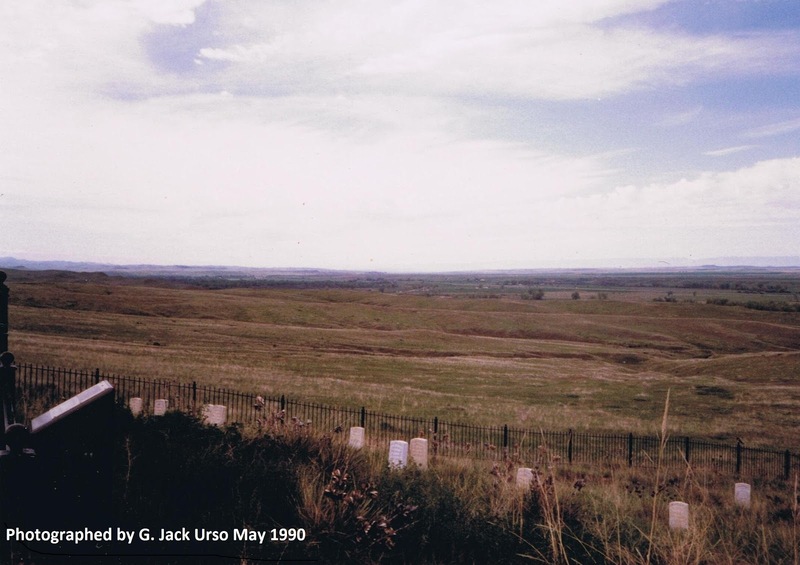 5: View from a rifle pit on Reno Hill looking down towards the Little Bighorn. To get a better view of the both the difficult terrain leading up to Reno Hill, and how defensible it was, I stood at a rifle pit along the perimeter, which you can see in the above photo (fig. 5). The broken country and brush not only slows down any approach, but also provides cover for an advancing enemy. Nevertheless, once dug in, despite repeated attacks, the troopers stood their ground until reinforcements under General Alfred Terry arrived the next day. reached in his attempt to lead a relief column to Custer. When the men with Major Reno and Captain Benteen heard the sounds of Custer's command being wiped out, some of them, led by Captain Thomas Weir, made an ill-advised advance towards Last Stand Hill to save their beleaguered commander. Hastily abandoning a defensible position, they didn't get far. After moving about two miles towards what is now called Weir Point, approximately three miles south of Custer's final position, they turned back. Ironically, Custer himself may have climbed the peak. Weir Point offers a panoramic view of the Indian encampment and would have allowed him to see exactly what his command was riding into. While debate exists whether or not Custer personally ever ascended Weir Point, he undoubtedly passed it before descending into his own personal valley of the shadow of death. Fig. 7: View of Weir Point (circled in red) looking south from Last Stand Hill. Custer and the men under his command were likely wiped out by the time Weir reached the peak that now bears his name. Staring at the position (circled in red) from Last Stand Hill in the photo above (fig. 7), one can see how Weir and the relief column could quickly be surrounded by thousands of Sioux and Cheyenne. The photo below (fig. 8) was taken from as close to Custer’s last position I could get without being arrested. The terrain slopes down towards the river and Custer would have seen well over a thousand angry Native Americans converging on him, if he was alive long enough to witness it. One highly debated Indian account suggests Custer was shot trying to ford the river, over a mile and a half away from where his body was found. Custer had two bullet wounds, one in the chest and one in the temple, both fatal, but the former likely having occurred first. Fig. 8: The last piece of Earth George Custer ever saw. I find it improbable that Custer would have survived a chest wound and a ride over the rough terrain you seen the photos above (figures 4-8). If he died at the ford then his body would have had to been very securely tied down to his horse to remain on it for such a ride. I doubt there was the time to secure a body in such a fashion under heavy fire, and Custer’s body showed no such evidence when it was found. The possibility always exists, but given that a single tactical mind seems to have been guiding the 7th Calvary at least to Calhoun Hill, after the attempted river crossing, I’m more inclined to believe that Custer was not wounded until reaching Last Stand Hill, not while trying to ford the river. Custer made the mistake of dividing his forces in the face of unknown enemy numbers and disposition when he split Major Reno and Captain Benteen off in separate directions. He then compounded his mistake further by dividing the remaining small force under his command, sending Captain Myles Keogh and Lieutenant James Calhoun (Custer’s brother-in-law) to cover his retreat to Last Stand Hill; however, at this point, the battle became a running fight. Attempting to reach the top of Last Stand Hill, Custer and the few men remaining with him were cut down before they could entrench. In the photo of Last Stand Hill below (fig. 9), we can see the grouping of the markers of the fallen. According to an officer’s report in The Custer Myth, by Colonel W.A. Graham (1953), at the time of the battle, the hill was steeper and reached further upwards where the large white stone monument now stands. 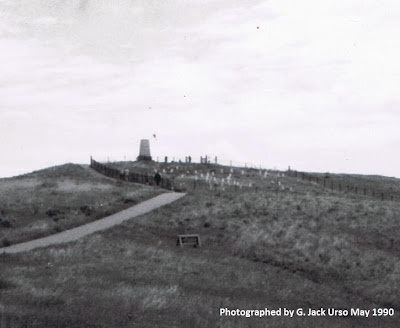 The hill was later graded down to build the monument and provide easier visitor access. Fig. 9: Last Stand Hill. 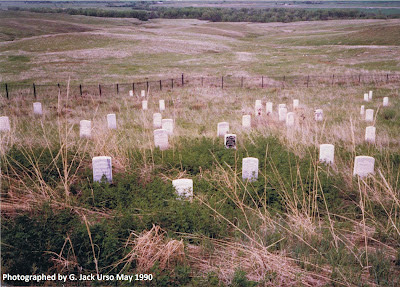 While most of the troops that made it to Last Stand Hill reportedly fought to the bitter end, some did run, and a few others, according to native accounts, committed suicide. The latter was not entirely unheard of as it had been reported at the Fetterman Massacre in 1866, which surely must have loomed heavily on the minds of the soldiers as they were being surrounded. Crazy Horse, who was present at the Fetterman Massacre, planned on repeating history his own way. I visited the Little Bighorn Battlefield just before Memorial Day. There were few tourists and on the morning of my first day I had the whole ridge from Last Stand Hill to Reno Hill nearly all to myself. The stark white markers of the fallen are scattered as though a giant cast a handful of stones on the landscape. You can see where the soldiers fought for their lives and where they ran for their lives. Beyond the facts, beyond the analysis, beyond the squandering of lives and the end of a way of life, is the land itself. The Sioux and Cheyenne fought that day to stop the slow, inevitable progress of the white man and the change that followed in his wake. They fought to keep the land from being turned into towns, dug up for gold, split by train tracks, and exchanged like cattle and horses. As of this writing, the battlefield remains largely intact. A sacred burial ground for two former enemies, it will not be turned into a housing development, dug up for gold, split by train tracks, nor exchanged like livestock. While the Sioux and Cheyenne lost the war, they won this battle and in many ways the spirit of their victory endures in this place to this day. A fitting memorial to what was lost and yet still remains within our reach and under our feet. The historical information provided in this essay is sourced from a selection of texts and documentaries listed below. For those interested in investigating the battle for themselves, while there are plenty of websites available that relate the history of the conflict, real research still begins with the book. Whether in print or electronic form, one cannot replace the depth and breadth of the details found in a text with any other media. 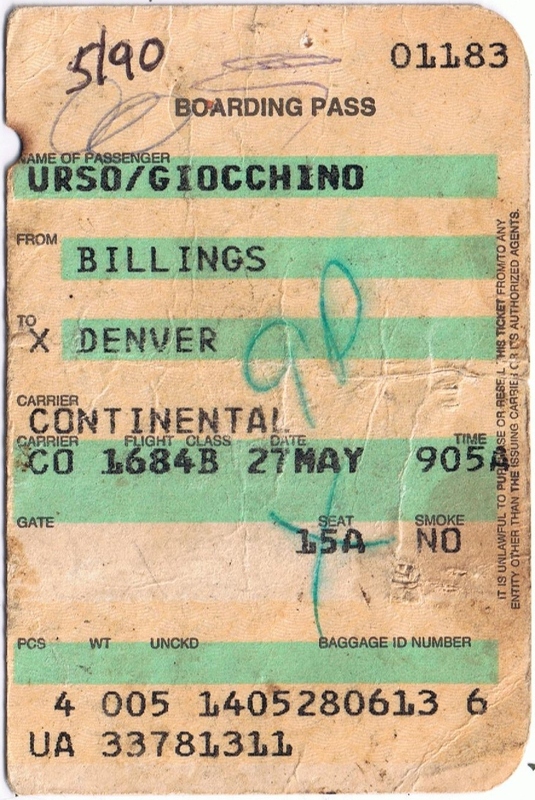 All photographs copyright 1990 by G. Jack Urso. For hours of exciting and compelling documentaries and dramas about the Battle of the Little Bighorn, as well as music from the era, please visit the Battle of the Little Bighorn Video Library, featuring such titles from the Aeolus 13 Umbra YouTube channel as Custer's Last Fight (1912), Red Sunday (1976), The Court Martial of George Armstrong Custer (1977), Dreams Along the Little Bighorn (1987), History Recovered: The Custer Battlefield Archeological Survey of 1984 (1985), A Good Day to Die (1988), Songs of the Seventh Calvary (1989), Custer's Last Trooper (1990), and Son of the Morning Star (1991). Also, for more related content on Aeolus 13 Umbra, please visit Navajo Peyote Songs Volume 1. American Experience: Custer’s Last Stand (2012), PBS. Documentary, 113 minutes (Digital Media): One of the best documentary series ever produced turns its attention to this classic American tragedy. A Good Day to Die (1988), John S. Gray with Robert Utley. Old Army Press. Documentary, 57 minutes (VHS): Good introduction to the battle. Archaeological Insights Into The Custer Battle: An Assessment of the 1984 Field Season (1987), Douglas D. Scott and Richard A Fox Jr.: A detailed exploration of the battlefield following a 1983 fire that uncovered lost artifacts and provided important new insights into the battle. Boots and Saddles (1885), Elizabeth Custer: An idealized portrait of her husband, but also a well-written and engaging account of the dangers faced on the frontier by both the soldiers and their families. Cavalier in Buckskin: George Armstrong Custer and the Western Military Frontier (1988). Robert Utley: The classic biography. Crazy Horse and Custer: The Parallel Lives of Two American Warriors (1975), Stephen E. Ambrose: A brilliant and fascinating dual-biography by one of America’s best-known and widely published historians. Custer Battle Guns (1988), John S. DuMont: Pictures and articles of the various guns used by both sides in the battle. Custer Battlefield: Official National Park Handbook (1988): Guide book prior to the name change to Little Bighorn National Battlefield. Custer’s Last Fight (1912). Old Army Press. Silent film, 43 minutes (VHS): Includes Native American actors who allegedly were present at the battle. 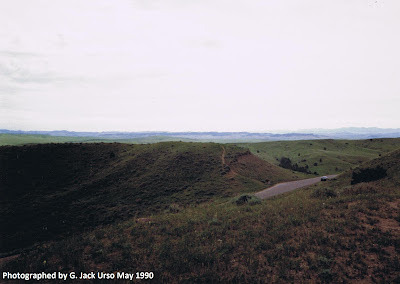 Dreams Along the Little Bighorn (1987). Documentary. KUED Salt Lake City, 58 minutes (VHS): This PBS documentary provides more intimate details of some of the lesser known participants in the battle – both Native and European. History Recovered: The Custer Battlefield Archeological Survey of 1984 (1987). Webster Productions. Documentary, 58 minutes (VHS). Companion video to Archaeological Insights Into The Custer Battle: An Assessment of the 1984 Field Season (1987). 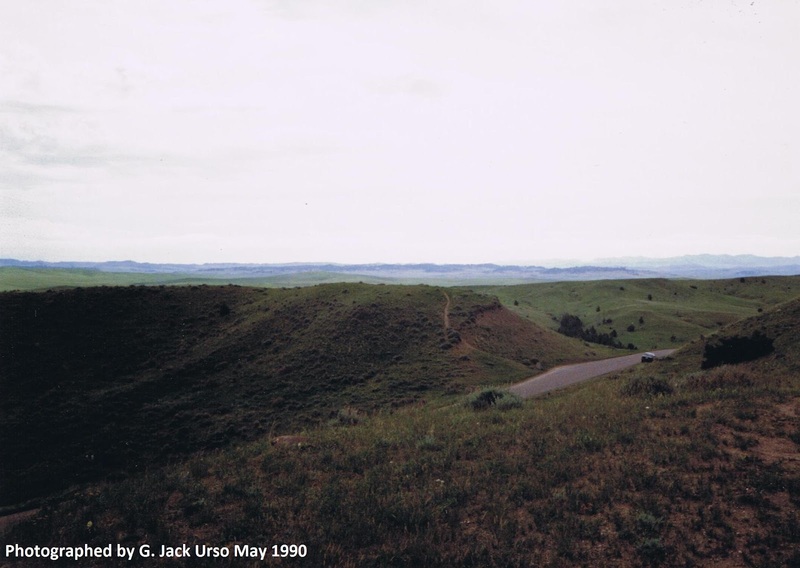 Little Bighorn Remembered: The Untold Indian Story of Custer's Last Stand (1999). Herman J. Viola: Native history of the battle, a view often overlooked. Navajo Peyote Songs Volume 1 (1990), Kevin Lewis. Produced by Millard Clark, Indian Sounds. Audio Cassette. Though the songs in this collection are not from the Plains Indian culture, due to the similarity of instruments they share a common rhythmic structure and provide an aural space for contemplation of the deep faith of Native Americans and how it sustained them against a world-changing cultural conflict. Red Sunday (1976), Old Army Press. Documentary, 26 minutes (VHS): The best short film on the battle I viewed as part of my research. Excellent introduction with a balanced perspective. See Related Content above. Son of the Morning Star: Custer and the Little Bighorn (1984), Evan S. Connell: Bestselling history that captures the spirit of the age and the people involved in a gripping narrative; also made into an excellent 1990 TV movie starring Gary Cole as George Custer. Songs of the Seventh Cavalry (1989), The Bismarck Tribune. Audio Cassette/CD: Popular songs in any particular age reveal much about those who sing them. From the morbid loss of a child in “Little Footsteps,” to the mournful “Dreary Black Hills,” the jaunty “Garryowen,” and the comparative prices of beer and morphine in “Soldier’s Joy,” listen and gain a new insight into the men and women on the frontier. 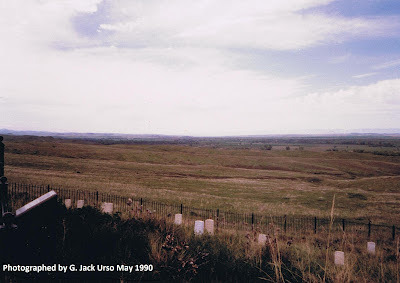 The Battle of the Little Bighorn (1966), Mari Sandoz: The classic text that introduced many baby boomers to the battle. The Custer Album: A Pictorial Biography of General George A. Custer (1990), Lawrence A. Frost: Excellent pictorial history. The Custer Battle Casualties: Burials, Exhumations, and Reinternments (1990), Richard G. Hardorff: Eyewitness testimony on who died and in what conditions their bodies were found – an excellent resource book. The Custer Myth (1953), Colonel W.A. Graham: Interviews, oral histories, articles, myths, and other Custeriana. Original source material, absolutely indispensable. The Custer Tragedy: Events Leading Up to and Following the Little Big Horn Campaign on 1876 (1988), Fred Dustin: First published in 1939, the result of 30 years research and the starting point for any serious investigation into the battle. The Reno Court of Inquiry: Abstract of the Official Proceedings (1954), Colonel W.A. Graham: Testimony given during the inquiry into Major Reno’s actions at the battle.